And as I was walking to my car with the cart, a young man, Ruben Guerrero, offered to help me when he saw me struggling with the cart. Ruben took the cart and helped me load my car and took the cart back for me. Excellent customer service from your staff! dates for 2017. Again, thank you for helping us have successful conferences at the Almansor! Virginia and I are very grateful not only for all of your help and attentiveness this year but every time we go to Almansor. Our event is a great success because we have your support and attention to detail. Thank you very much again and I have let my mariachi connection, Joaquin Rodriguez, about you needing a group in January. Please confirm the date, times and I’m assuming it’ll be at Almansor. Mindy, Jose, Luis and their team were absolutely 100% incredible and made everyone feel that their needs were important and no matter what was asked of them or any sudden changes or requests made, they delivered quickly and with a smile. They made us all want to come back to them again. Everyone stated that this was the best food they have had at any conference!! Thank you, Almansor, for having us and making our event a huge success! MINDY was amazing and event sent me a picture of a splitter to my cell phone so I could be sure to bring the right thing! LUIS was top notch, so professional and available, even though he had many things going on. He addressed our every need and was incredibly pleasant and kind!! JOSE (and I hope I have the right name) he was our catering person and assisted us wonderfully with the lunch buffet, ensuring that the line moved smoothly and everyone had what they needed. He was so professional and beyond pleasant and had a smile on his face the entire time no matter what was asked of him. He even made sure the speakers and the workers ate! Our agenda changed and we had to end our program sooner and he accommodated us without hesitation or any sign that we inconvenienced him and ensured that the snacks were out as people were leaving. Everyone raved about the warm, gooey cookies! They were delicious! Jose’s customer service and personal skills are outstanding! Thank you for hiring such amazing staff! Miller, General Manager, chipped in and made Xerox copies for me after coming off a long flight. I personally surveyed the attendees and most if not all stated the food was great, they were comfortable, and appreciated the beautiful grounds. It is always an honor to have people get together in unity for their betterment. For this life is a better place. I applaud and thank you, as well as your staff for sharing in this awesome experience by being a part of approximately 400 peoples journey. The Staff at Almansor Court is amazing, from the catering office to the set up staff to the servers to the clean up staff. The Lakeview room was clean, the food was great and our YMCA guests loved the event. Juan- the captain for the day was also helpful the day before as we decorated. Stacia in the front office-always helpful. Catering office: Everyone…answering my numerous calls. Stacia Solis & Gary Miller at the catering office were great. They really took my issues from the previous year and worked really hard to resolve them. They were attentive right down to the smallest of detail (ie: some strip lighting which needed to be repaired). It was important for our stages appearance. Also, our Room Capt Arturo. What can we say, he is outstanding. He is extremely attentive, is always asking us what else we needed if anything & is never far from the room. All three (Stacia, Gary & Arturo) are invaluable to Almansor, as they embody the great service that Almansor is known for. We are very grateful to them. Thank you. Everything was exceptional! Couldn’t have asked for a more convenient, affordable beautiful location! I wanted to say thank you for helping us have a wonderful event last Saturday. Everything was perfect and the staff that night was amazing! They were professional, kind and most of all very helpful! The supervisor on duty, Jose, was very attentive and we had no complaints. Thank you for everything hope we can do this again soon. Just wanted to report on the success of our baby shower brunch held Saturday the 18th. Everything went smoothly and all our guests loved the location and set up! They liked it so much a family members wedding is being booked there for September! Hope to do business again! Have a great day! Thank you for all the help you and your staff provided to William and me to make our special night an excellent event. Everything was so smooth and nothing happened, we got great reviews from our guests that the food was great, appetizers and setting was very nice. The place looked great and everyone enjoyed themselves. Thank you again, at the end of the night I filled out the Survey, Catering Captain and staff were very helpful. and your staff for the lovely ambience you created for our event. We especially appreciated the requested changes your cook made on some of the menu items. The cod with the mango papaya salsa was a special hit as was the bread pudding, but all the food was excellent and thoroughly enjoyed. Your staff was efficient, courteous, and helpful. who were supposed to speak for 1-2 minutes instead spoke for 10 or more which caused us to go past 4 PM. We requested additional time, and your manager was most gracious in giving us additional time which we truly appreciated. The afternoon turned out to be very enjoyable. Please pass on our thanks to your staff and especially your cook. 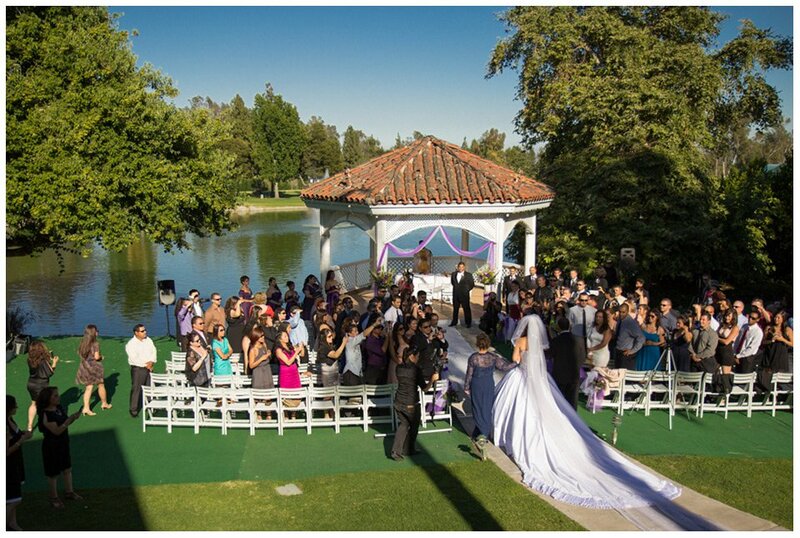 I wanted to share with you the great experience I had at Almansor Court on August 10, 2013. Since day one when I inquired about the availability of a hall for this date, you were a tremendous help. I truly appreciate all your support throughout the entire process in arranging my niece’s Quinceaneara, without your assistance this could not have been the great success it was. This was my first time in coordinating such a great event, but I enjoyed every minute and you working with me made it so much easier. On the day of the event everything was perfect, I also wanted to give a lot of credit to each and every staff member that contributed to making our hall nice and beautiful for my princess or as call her my “lil queen”. You were there making sure that everything was setup and running, and that just made it even better. That makes me want to host another party at Almansor Court. Narciso Quintana was very helpful, as soon as I walked into the hall around 5:00 p.m. he introduced himself and offered to assist in whatever we needed. The food was delicious, starting with the appetizers, the punch, the bar and of course dinner. We always had plenty of water, ice tea at the tables, the staff was picking the dishes promptly and I appreciate every detail very much. We were truly pampered by the staff at Almansor Court. I rate the service, the food and the staff at Almansor Court above EXCELLENT. I just wanted to thank the two of you for your help with Michael’s party. The room was set up just right and I was told the captain was helpful to Sarah (my daughter) with set up and break down. Our guests enjoyed the variety and abundance of food and drink. Thanks again for your professional and courteous support. I just wanted to take a few minutes of your time to say thank you for all your help with Julianne’s quinceañera. Also for working with Mary to get the hall decorated. Your efforts are very much appreciated. The food was delicious. I received a lot of compliments on the food. Jose was also very accommodating and attentive. I can’t remember the bartenders name but he was also very professional and accommodating. I am very happy I chose Almansor Court to have my daughters party. And I will definitely recommend it to friends and family. Again thank you for everything!! I have been a happy customer of Almansor Court for over 35 years. When I was Assistant Superintendent of Schools in the greater East Los Angeles area, for the Los Angeles Unified School District, my office held several of my principal meetings in your facility. I also happen to belong to the Alhambra Senior Women’s Golf Club. It was so nice meeting you and your staff on April 14 when my three sisters and I enjoyed the fabulous brunch. I know that we took the time to personally compliment you on the service provided by our server Hugo, but I wanted to put it in writing. Once again, you are to be commended on how your employees interact and serve your customers. We don’t know how to express our deep appreciation to you. We had a fabulous event, comments from everyone, and everyone who assisted us was so courteous and helpful. The room was set up beautifully and the food was plentiful and delicious. I could go on and on. Thank everyone for us and we will find a way to show our appreciation. My dad’s 80th birthday celebration was a success; thanks to you and Tiffany for making it work despite the circumstances. The lights and linens made a huge difference in the room’s ambiance. The guests were very impressed with the food, service, and the facility. You might be getting calls/inquiries for future events soon. I would also like to commend Fernando (Server Captain) for keeping me informed on the set-up and schedule, and for following through to ensure that everything is running smoothly. He was very professional and accommodating. I came here for a company event inside the lakeview room. The room has a beautiful view & it was very spacious, plenty of spaces to walk around & mingle. The food was buffet style! Food was constantly replaced when it ran out & everything was nice & hot! The highlights of my meal: salmon, pasta & cheesecake!! I had my wedding here in early September and I can’t begin to tell you how pleased I am with the service and attention to detail. In the early stages of planning they host a a bridal show where you can come and sample all the meals and meet with vendors that can help ease your planning. The event is very helpful since you get to try all the food they offer and visit all the banquet rooms. As the date got closer the office staff was courteous to call and email me reminders of my menu, time line and set up deadlines. When you are a bride to tend to forget all the small things and the staff is skilled where they cross your T’s and dot your eyes. They are very flexible with the bride’s master plans and please just about most of your requests. The day of the wedding, I didn’t have to worry about a thing. The entire event was taken care of. The food, the drinks and toast were all served on time. The serving staff is very professional and the food was excellent. Everyone from the director, office staff to the wait staff treated my guest and I with the up most professionalism and went out of their way to make my wedding what I envisioned it. I totally reccommend having your wedding or any event here. If you are ever compelled to endure a corporate event at Almansor Court’s Lakeview room, consider yourself lucky. Almansor Court offers a standard package for corporate meetings and events that you’ll likely receive too. They start you off right with a continental breakfast. I helped myself to the generous fruit plate with cantalope, honeydew, watermelons, strawberries, and pineapple. To drink, coffee, decaf, tea or apple, cranberry, and orange juices. The pastries were pretty standard fare – various muffins, croissants, and pastries. I’m usually not tempted by these but a croissant filled with lemon filling was surprisingly satisfying. The room itself was quite large and very spacious with an adjacent bathroom. The lighting is very comfortable, with ample natural lighting. The view was very nice with the golf course to the left and the golf course lake to the right. Very nice indeed. I spent a solid 8 hours at an all-day training that day. Almansor Court kept me fed and comfortable and, as such, receptive to “learning.” I’d happily look forward to any future trainings I’ll eventually attend there.